This post is sponsored by Owlet, they are providing compensation for the post, all ideas are my own. Today I am working with Owlet as part of Baby Safety Month. 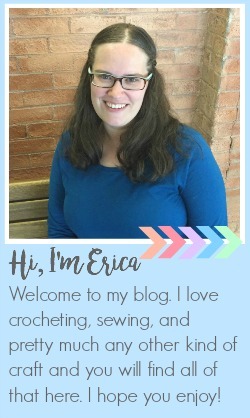 They are doing a blog hop with several different bloggers posting about baby safety this month, one every day. Yesterday Whitney from Beauty, Baby, and a Budget shared some tips for Grandparents on how to baby proof their homes. 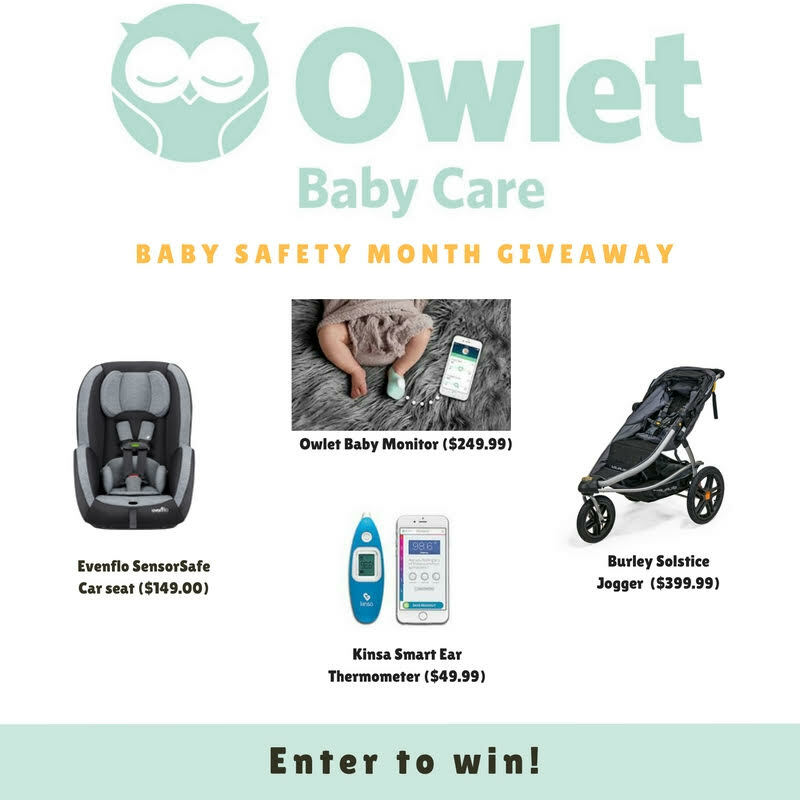 In addition to all of the blog posts on baby safety Owlet is also sponsoring a huge giveaway with lots of great baby safety products including an Owlet Baby Monitor, a car seat, and more. You can enter at the end of this post. As I was thinking about what I could share that had something to do with baby safety I was trying to come up with something that I could make but most baby safety things are not really DIY projects. I mean, car seats are super important for baby safety but you can't really make your own and most things you could make for the car seat will actually make it less safe rather than safer. And then there are all of the little baby proofing things like outlet covers and door locks and baby gates. Again, things that are really things you are going to make yourself, I didn't really think it would be a good idea to make something myself to stick in an electrical outlet. As I was thinking about this I looked down at the 6 week old little baby sleeping in my arms and I saw a little scratch on his nose where he had scratched himself and thought about how I really should try to clip his nails but I hate doing that when there little nails are so tiny, I'm always worried I am going to accidentally clip some skin. 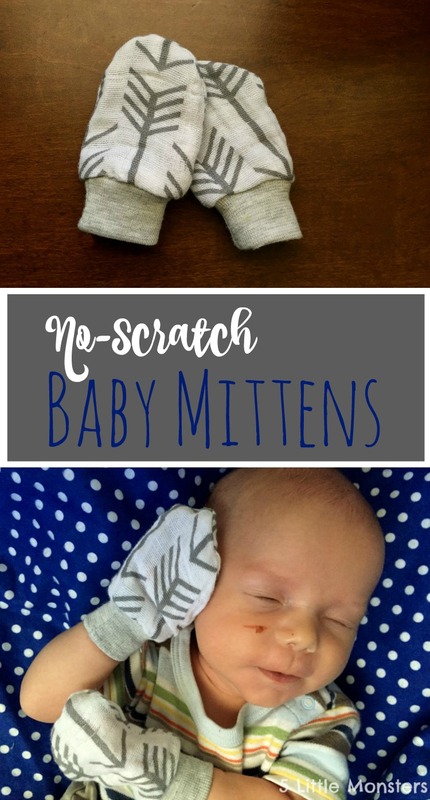 The other option is to put little mittens, or socks if you don't have mittens, on their hands to keep them from scratching themselves. Then I thought, you know, that may not be the same kind of baby safety as car seats and outlet covers but it does still kind of fall in that category. 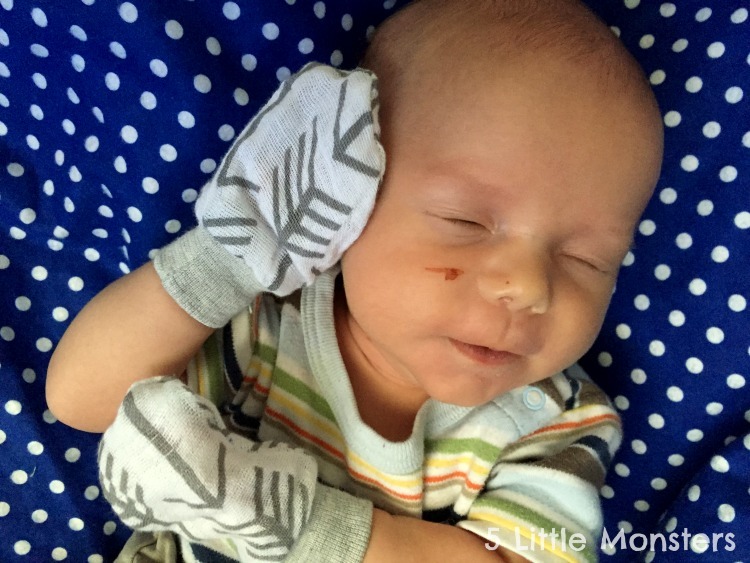 It is something that you are doing to keep your baby from getting hurt, in this case from hurting themselves. In fact if you go to a store looking for baby safety items you will find things like doorknob and outlet covers in the same area you will find nail clippers and thermometers. All of those things help keep baby safe. With one of my other kids someone gave me a pair of the baby mittens you can buy at the store, little knit mittens with a piece of elastic around the bottom. I felt like they were really loose and never stayed on well. Eventually they got lost so I didn't have them to use this time around so I decided to make my own. I didn't really want to go the elastic around the wrist route so I came up with another idea and I am really happy with how they turned out. I decided to use ribbing around the wrist instead of elastic. I felt like I could make it a little more snug without being tight around his little wrist. It took me a couple tries to get the right size, the first ones fit but they were a little smaller than I wanted which made them really hard to get on his little hands. 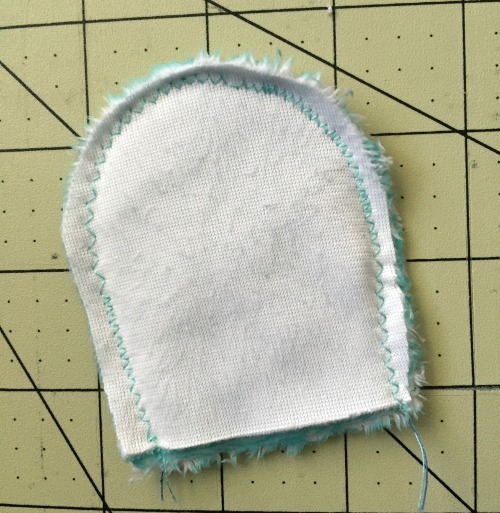 Any scrap of fabric should work for the mitt part, I would recommend something soft though. 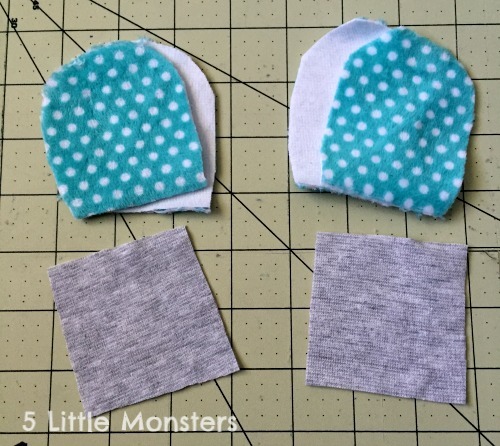 I used super soft cuddle fabric on one pair and double gauze on the other. Knit fabrics would also work well and even flannel would probably work. 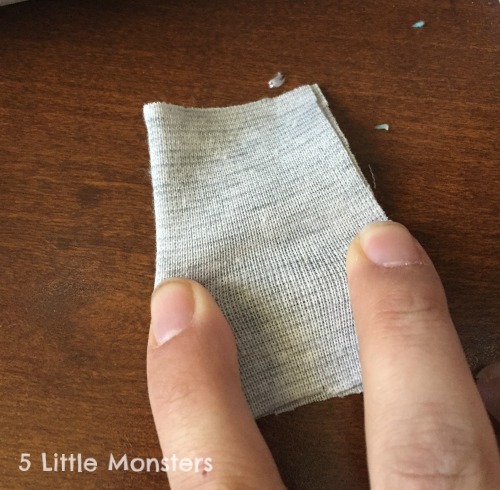 I wouldn't recommend just a regular cotton fabric just because it wouldn't be as soft. I really like the double gauze mittens because it is soft but also thin, where the cuddle mitts were a lot thicker. 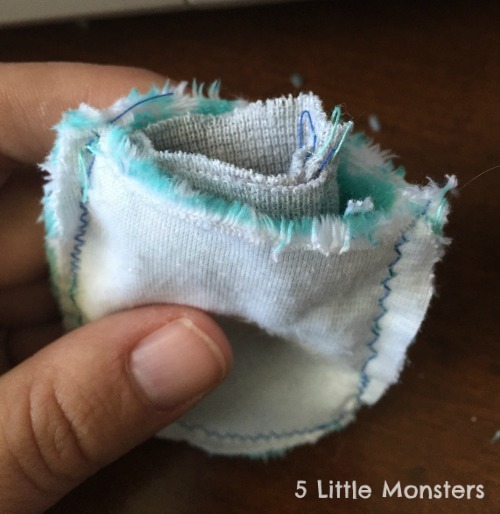 You don't need a lot of fabric so this is a great scrap project. You will also only need a very small piece of ribbing. I used some scraps that I had of that too. 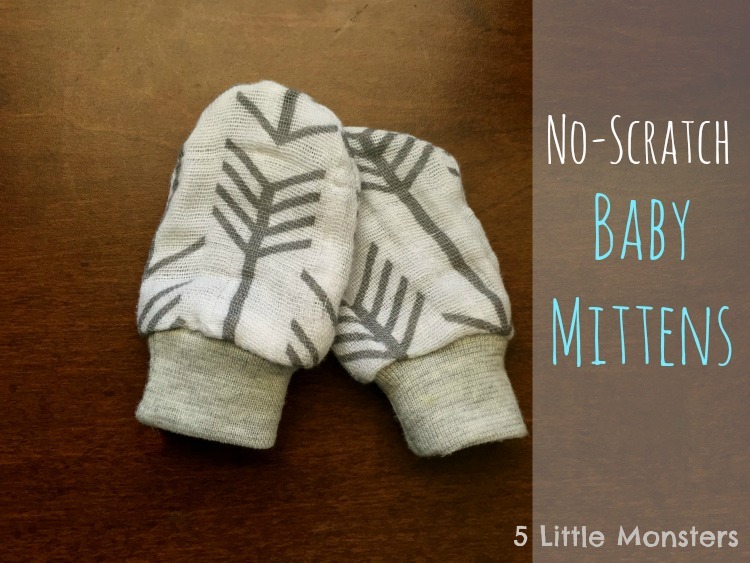 First you will need to cut out 4 mittens using the printable pattern piece or if you need a bigger or smaller size draw a mitten shape that is big enough to fit over your baby's hand. Cut 2 pieces of ribbing 3 1/2" x 3". 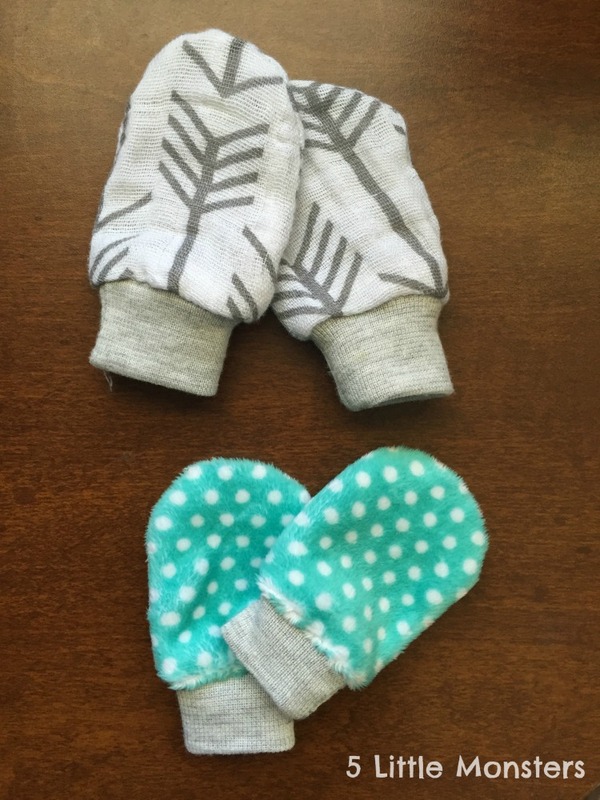 The 3 1/2" should be the stretchy way (the picture is of the smaller mittens so the measurements are a little smaller, for these ones I cut the ribbing 2 1/2" square but I felt like they were just a little too small). 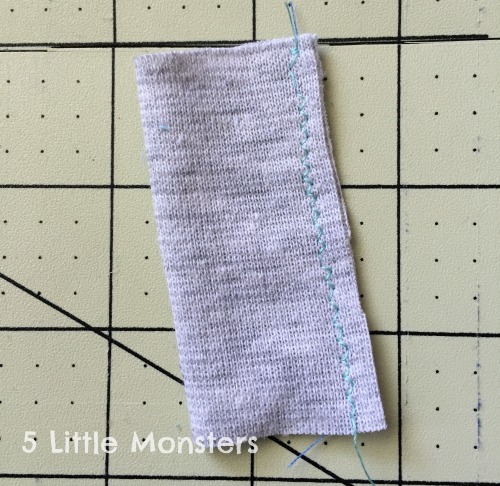 Sew the mittens together right sides together along the curved edge using a 1/4" seam allowance. If you are using a fabric that has stretch you may want to use a narrow zigzag stitch. Fold the ribbing in half so that the the stretch is folded in half. It should be 1 3/4" x 3". Sew along the edge opposite the fold using a narrow zigzag. 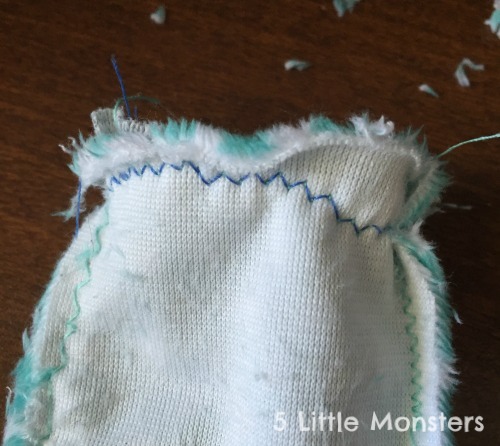 Fold the ribbing in half with the seam on the inside. Place the folded ribbing inside of the mitten with right sides together and the raw edges matching. Stretch the ribbing to fit the inside edge of the mitt. Pin in place. Sew around the edge. Make sure that all threads are clipped so that there are no strings that can get caught around baby's fingers. Turn right side out and they are ready to put on baby's hands. Thanks for visiting and be sure to check out the next post in this blog hop tomorrow, Savanna at Modern Wanderer will be talking about ways to keep baby safe outdoors. Also enter to win the giveaway worth $850, there will be 4 winners so there are more chances to win. Totally will be trying out this tutorial! I'd love to win the giveaway- I'm due with my first baby in December and would love the peace of mind the Owlet brings! I would love to own the Owlet so I can worry less about sids and whether baby is ok. What an awesome product! I would love to win the owlet monitor because I have identical twins on the way! Not only would this help me sleep easier knowing they are constantly being monitored, it would also mean I only have to buy one! I will definitely be trying out these mittens too. I would love to gift "peace of mind" to my daughter and son-in-law. I am expecting our first in December and would use the monitor on all of my kids in the future, what peace of mind! My first baby is due in a couple weeks and I would love to win the Owlet Baby Monitor! 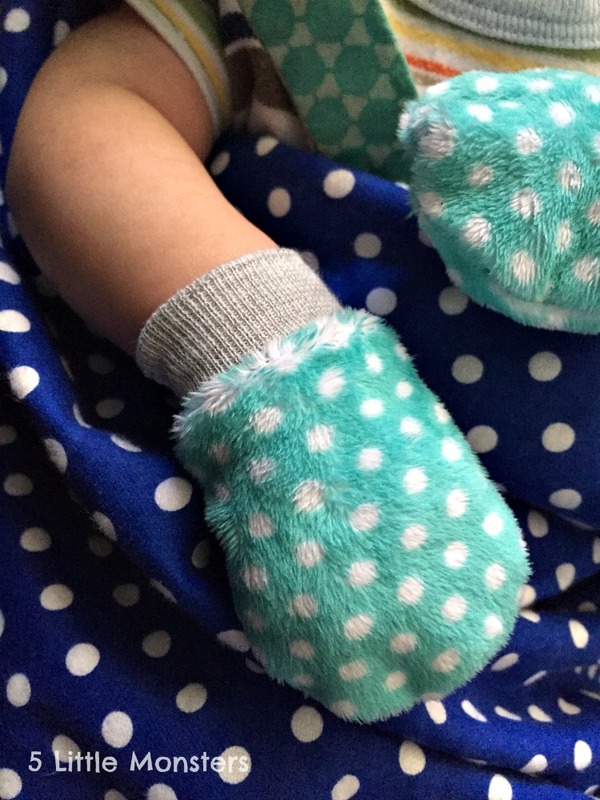 Also, I love the baby mittens! I'm not much of a sewer, but I'm going to try out this pattern! Thank you! I am due in March I would love to have an owlet monitor! 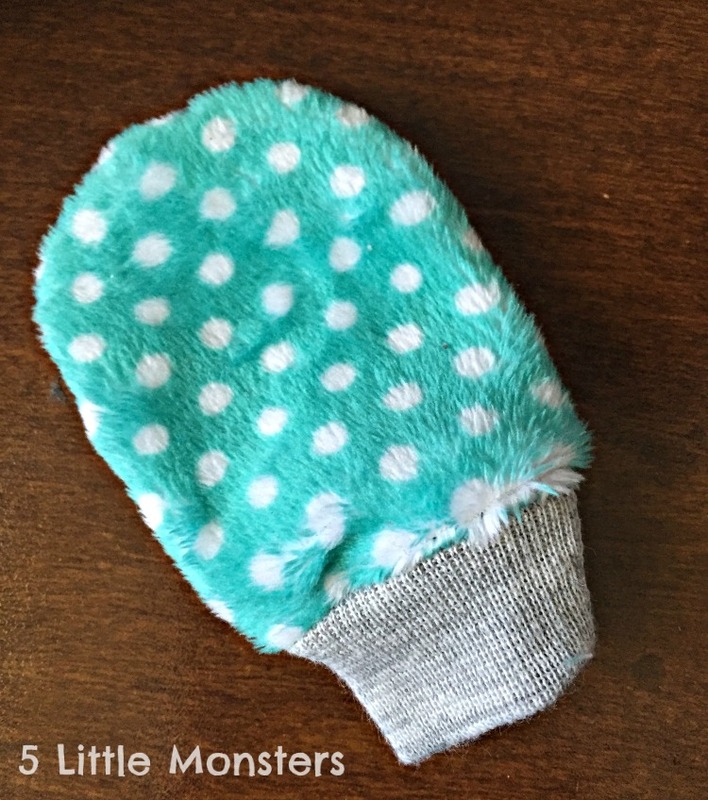 These mittens are super cute also! I'd like to win because with 4 little ones, the youngest brand new, I've realized that not every danger makes noise. Just because they aren't crying doesn't mean something isn't wrong. For peace of mind, and better sleep, I'd like to monitor her ox levels. Great Idea! Love the fabrics! I would sleep so much better with our little son (who is due in a few months) knowing that the owlet was monitoring him. I would love to win so I can use the monitor for all of our future kids as well! Love this tutorial! Would love to win an Owlet! Have heard so many great things about them! I think this will be my first sewing project! The fuzzy fabric is the sweetest! I would love to win an Owlet for my baby boy due in exactly two months!!! Thank you for this awesome pattern. I had trouble finding mittens in the store that I actually liked. I would love to win the monitor because our insurance won't cover an apnea monitor for our little boy. 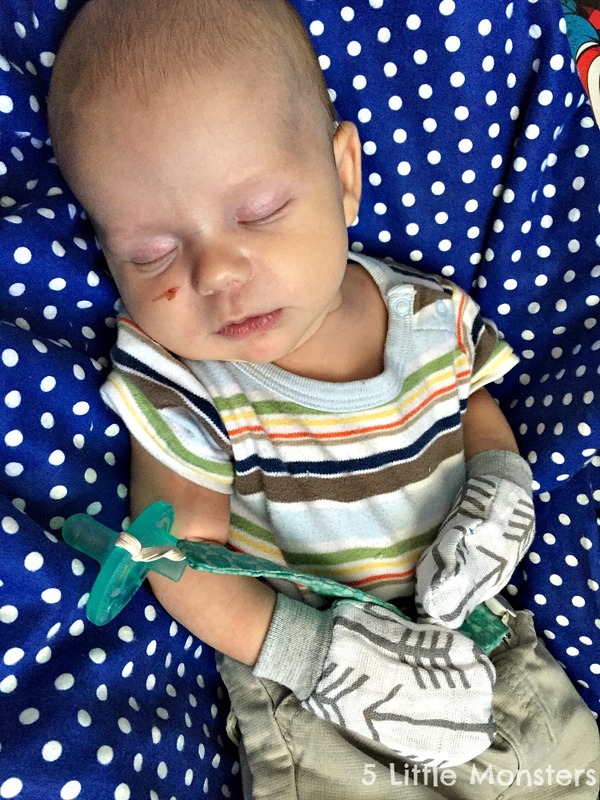 He had apnea episodes for 2 weeks after birth and spent 17 days in the NICU. We don't sleep! I would love to win this monitor for my daughter. I would love to win the Owlet monitor for my baby due in October. The peace of mind it would allow me to have while he sleeps, would ease my anxiety. Question, how much of the pattern fabric do you need? All I see is that you need at least, but not an amount, just amount for the ribbing. Ribbing vs elastic is a great idea btw! Love this! Thanks for the contest! I would love to win so I can gift it to my SIL who is pregnant!thanks!